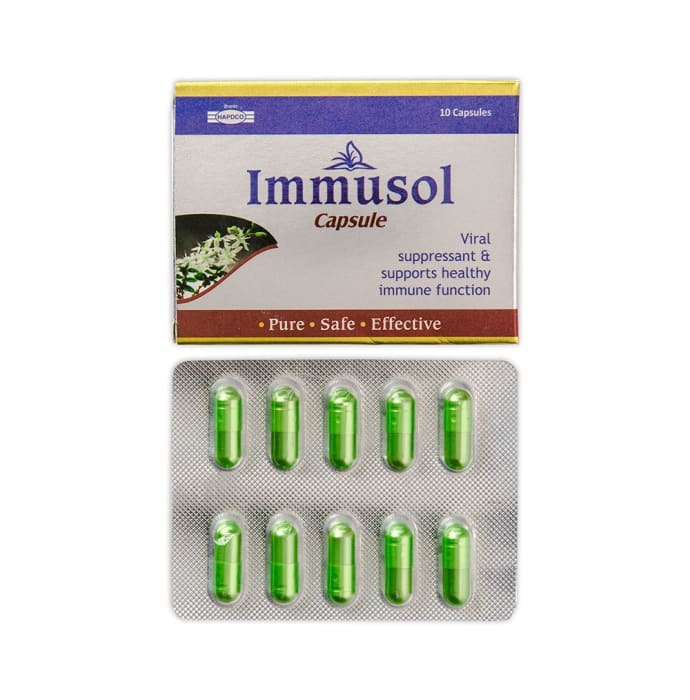 It strengthens immunity & protects the body from viral & bacterial infections, gives relief from cold, cough, flu & other respiratory tract infections. Being a natural supportive treatment for viral fever, it is useful in immune dysfunction disorders. A licensed pharmacy from your nearest location will deliver Hapdco Immusol Capsule. Once the pharmacy accepts your order, the details of the pharmacy will be shared with you. Acceptance of your order is based on the validity of your prescription and the availability of this medicine.